Bob Jefferson was an exciting forward, fast and skilful with a tremendous shot, and able to play right across the line. He never established himself at Elland Road, but really came into his own in later years during a 14-year career with Swindon Town. Jefferson began playing for a local junior club, Sunderland Royal Rovers, and in November 1904 he got a chance at the big time when he joined Second Division Bradford City. He was with the Bantams for a couple of years, scoring six times in 30 League games. Lack of first team opportunities led to Jefferson joining Leeds City in May 1906. He scored on his Leeds debut in a 1-1 draw at home to Leicester Fosse. Nimrod in the Mercury: "Jefferson's appearance at centre-forward must be voted a success. He did not, perhaps, display what might be exactly termed trickiness, but he was dashing, bustling, and energetic. It is such play that often brings victory. He was never afraid of shooting, either, and with a little luck he would several times have netted the ball." He figured in a number of forward positions during his stay with the Elland Road club, though he struggled to hold down a regular spot, scoring five times in 17 Second Division appearances. In May 1908, Jefferson signed for Swindon Town, together with Leeds colleagues Harry Kay and Jack Lavery. He had a wonderful time down in Wiltshire over a fourteen-year spell which included the war years, scoring 67 goals in 274 League games. He also represented the Southern League on eleven occasions. Swindon Town were going through a golden period in their history at the time. In 1911, they won the Southern League title, earning them a place in the Charity Shield match against First Division champions Manchester United. The big guns won 8-4. Town were also redoubtable opponents in the FA Cup in those days, beating seven First Division sides in the six years prior to World War I.
Swindon reached the FA Cup semi finals in 1910, beating Tottenham and Manchester City en route. Jefferson scored the only goal of the game when they beat Woolwich Arsenal in the second round in February 1911. 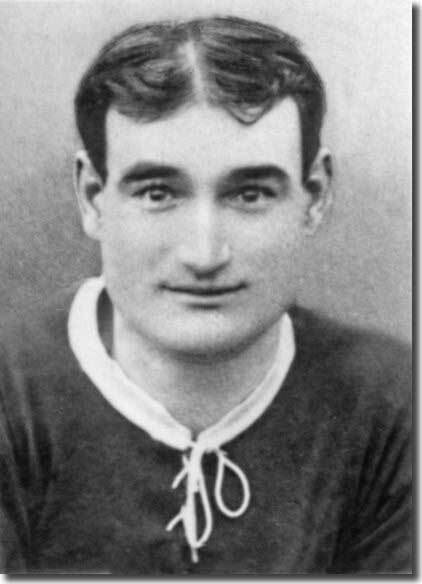 Arsenal had Alf Common, the first £1,000 player, in their ranks. The second half goal came when Gunners keeper Bateup showed an amazing lack of judgement, racing out to a through ball from Harold Fleming, which Jefferson was always favourite to reach. He coolly slotted the ball home with the despairing keeper helpless to prevent him. Jefferson also featured in Swindon's Cup run in 1912, when they again reached the semi finals. He scored the first goal in the quarter final, when they beat Everton 2-1. Swindon were elected to the Third Division in 1920, and Jefferson was on the score sheet in the Robins' first Football League game, which saw a 9-1 defeat of Luton Town. In May 1922, Jefferson joined Bath City, where he ended his playing career.